John Cherian, “Predatory strikes,” FRONTLINE: India’s National Magazine (from the publishers of THE HINDU), Vol.27, No. 11 (May 22-June 4, 2010). Fundamental questions exist about the permissibility of such attacks in situations where they are not conducted in strict compliance with the requirements of immediacy, necessity and proportionality in exercise of the right of individual or collective self-defense, in accordance with Article 2 paragraph 4 and Article 51 of the United Nations Charter. In particular, the legal justification based on the distinction under international humanitarian law between combatants and non-combatants, which is used to justify such attacks against anyone believed to be associated with the Taliban or other insurgent groups in Afghanistan and Pakistan, fails to take into account the fact that Article 2 (4) and Article 51 of the U.N. Charter are norms of jus cogens, or mandatory norms from which there can be no derogation. In other words, these norms of jus cogens are superior to and limit any rights to use force that may be contained in international humanitarian law. 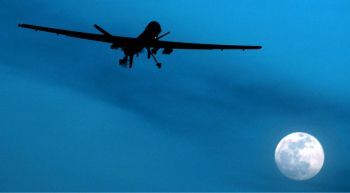 Consequently, targeted killings by drone aircraft are lawful only to the extent they meet the requirements for responding to an imminent or ongoing “armed attack” against “the territorial integrity or political independence” of Afghanistan or Pakistan, or if conducted with the consent of the territorial state they meet the requirements of international human rights law. International human rights law permits the use of force in self-defense or in defense of others by state authorities. It does not permit the widespread targeting and execution of criminals or terrorists without due process of law, when the requirements of self-defense are not met. Three distinct bodies of law are relevant here: 1) the international law governing the use of force articulated in Article 2(4) and Article 51 of the U.N. Charter, which has become customary law and jus cogens; 2) international humanitarian law; and 3) international human rights law. It should be recalled that each of these bodies of law has as among its essential purposes the avoidance or reduction of the killing and injuring of individual human beings. The original purpose of the distinction between combatants and non-combatants in international humanitarian law was to limit attacks on civilians and civilian targets in traditional battlefield settings. It is noteworthy that, according to the article from India, a very large number of innocent civilians have been killed in targeted killings by U.S. drone aircraft. The lawfulness of targeted killings by drone aircraft under international law should be of great concern to the United States, for perceptions of legitimacy of its actions involving the use of force are likely to have a broad impact not only on populations in the Middle East and South Asia, but also on the populations and governments of its coalition allies in Afghanistan, as well as on other nations throughout the world. The general rules of public international law constitute an integral part of federal law. They take precedence over statutes and directly create rights and duties for the inhabitants of the federal territory. German participation in coalition actions involving targeted killings by drone aircraft in situations where such actions do not meet the requirements of the right of self-defense against armed attack, or self-defense in compliance with international human rights law (when the attacking state is acting with the consent of the territorial state), would appear to present serious legal issues for the German government. Article 25 of the Basic Law includes both customary international law and the special norms of customary international law which have achieved the status of jus cogens. A further point of interest is that the United States is using non-military personnel to conduct these attacks, whether C.I.A. agents, “contractors” on the ground gathering targeting information and therefore participating in the attacks, or private “contractors” acting as “pilots” of the drones from facilities thousands of miles away. If some of the actions in which they are participating are not legal under international law, and it is suggested above that many may not be, then these individuals could potentially face criminal liability in the future for the commission of war crimes. While the U.S. has taken vigorous action to prevent its citizens from from being tried either under the jurisdiction of the International Criminal Court or the universal jurisdiction that may be exercised by national courts of any country when their domestic law authorizes them to do so, the historical trend is in the other direction. It is quite conceivable, if not likely, that within 10 or 20 years these individuals could become subject to arrest and trial when traveling abroad. In any event, these targeted killings do not seem to be stopping the Taliban, which in Afghanistan still appear to be very present in Marja, the location of a much-touted recent American offensive, as well as in Kandahar province where a huge offensive by the United States and its allies is imminent or perhaps already underway. Comments are invited, in any language. If in a language other than English, please provide an English translation if possible. A Google translation will be sufficient.